Christophe Monnot is Assistant Professor in sociology of religion at the University of Strasbourg since 2017. Previously, since 2012, he has been an assistant professor at the University of Lausanne. His lectures focus on the theories and methods of surveys (both quantitative and qualitative) and sociology of (religious) organizations (in a secularized context). 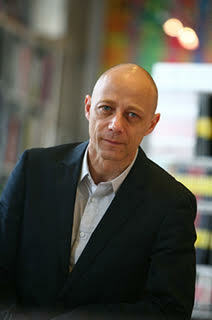 In December 2010, Christophe Monnot has a PhD in sociology of religion at the University of Lausanne in joint supervision with the EPHE at la Sorbonne, Paris. After his PhD, he was awarded a grant from the NSF to conduct an investigation at the CNRS in Paris in the research laboratory Group Societies, Religions, Laïcites (GSRL). Concerning his research, since 2015 he co-leads with Irene Becci Terrier a survey on the role of the new spiritualities and religion in the energy transition in the program Volteface, followed by a NSF supported project. He is involved at the University of Bern in the first investigation supported by the NSF (PI: Stefan Huber and Jörg Stolz) on the issue of the seculars in Switzerland. In 2008, he received the Yves Lambert award distinguishing his first article in the journal Social Compass, and in 2011, the prize Paul Chapuis-Secrétan from the University of Lausanne rewarding his PhD Thesis.